In a nutshell, starting from the center, much like a pebble being tossed in the water, your social marketing plan should produce a continual ripple effect from the center, which is your hub of business, such as your: contact manager, content manager, lead capture and business processing. This, is where all of your information is organized, broadcasted and results collected. 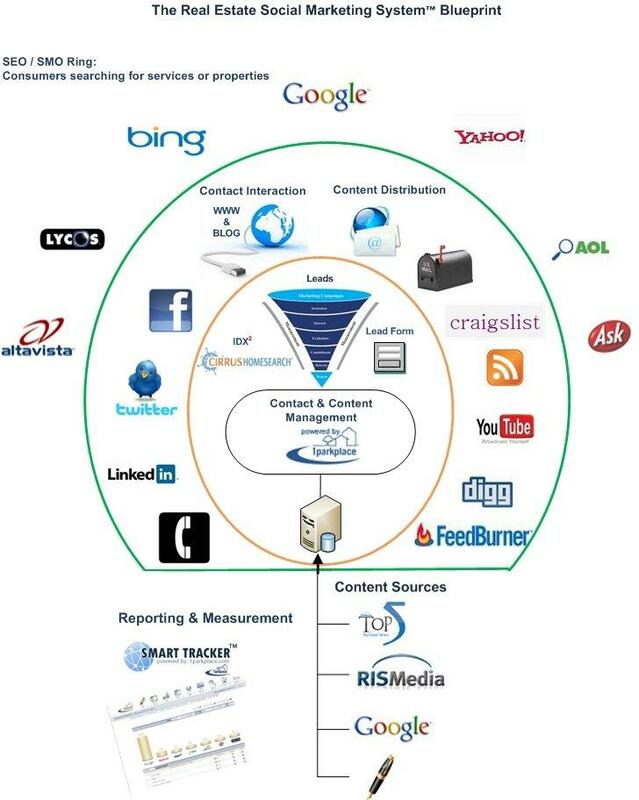 Your content distribution methods and contact interaction, reside in the second ring. This, is where your contacts can view the information that you are broadcasting, and interact with that information via your Twitter, Facebook, Blog site or even the phone. All information, interaction and activity, are then made available to the search engines, that hover in the outer ring. As you perform your day to day social marketing activities, the results of these activities should ultimately be indexed by the search engines.